This gallery patron created her custom-made hat from scrap cardboard & materials from around her house before she came to the reception. 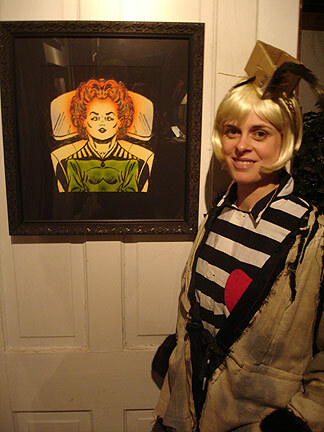 Seen here with Red-Headed Symmetrica. New Orleans is fond of hats.